Two sons were determined to find a way to make there dad’s 62nd birthday extra special and memorable. After scratching their heads, the duo devised a hilarious plan to publically advertise their dad’s phone number with a request to the public. The response from people from around the world quickly turned viral. Brothers Mike Ferry and Chris Ferry Jr. wanted a fun way to honor their dad, who was already a sexagenarian. Chris Ferry Sr. was the head of an insurance company, and had impressed his sons for his devotion as a “hockey dad.” Chris Jr. had recently worked with a billboard company; he figured plastering his dad’s face on a billboard with a sweet message would be the perfect birthday gift. 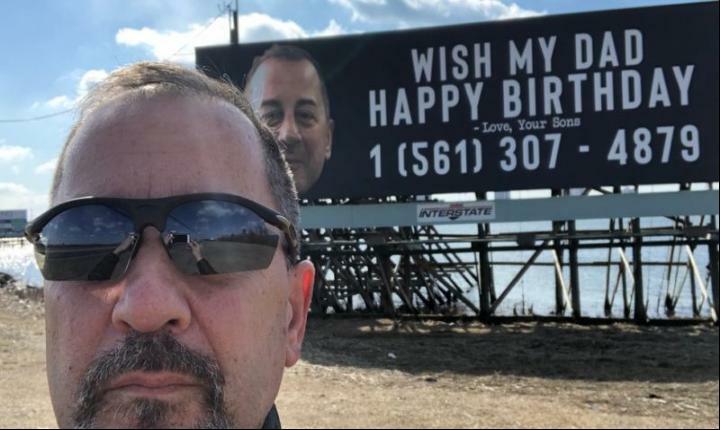 Since Chris Jr. and Mike were living in Florida, they got $2,000 together to have a special birthday billboard ad set up in Atlantic City, NJ. Chris Sr. lived in Linwood, New Jersey, so it was best to have the advertised message closer to their dad’s current stomping grounds. After some debating whether to post up their dad’s real phone number on the billboard, the Ferry brothers decided to go all in with their prank. 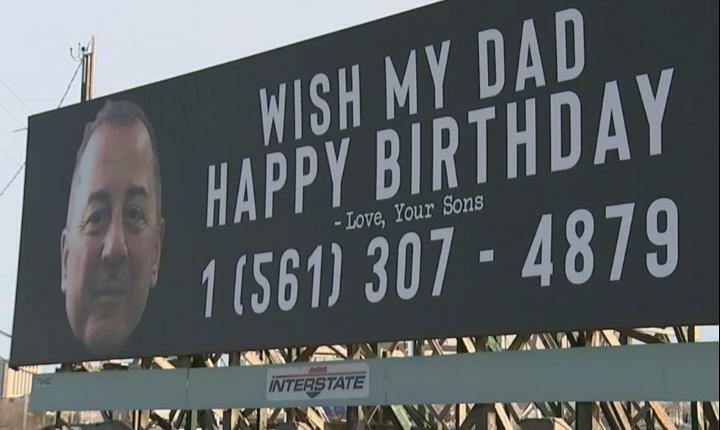 The ad read, “Wish My Dad Happy Birthday – Love, Your Sons,” with a contact number underneath. Shortly after the billboard ad went up, Chris Sr. received his first text around 8 a.m. 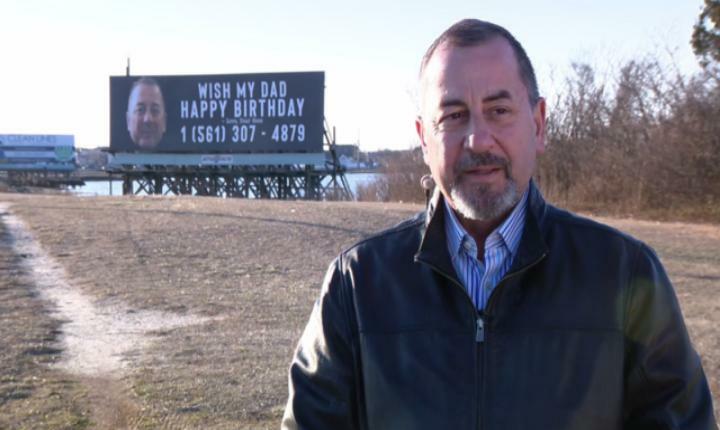 The billboard featuring Chris Ferry Sr.’s face, phone number, and heartfelt message from his sons was visible to motorists on the Black Hore Pike in Atlantic City, NJ. The Ferry brothers didn’t just put up a birthday billboard; they also put the message on social media too. Luckily, Chris Sr. wasn’t mad at the attention. “I’m totally flattered,” he stated about his sons’ gesture. After the onslaught of texts and phone calls from around the world, Chris Sr. eventually changed his phone number. The sons definitely have their work cut out for them to top their dad’s 62nd birthday gift. Let’s just hope their father won’t have to change his phone number again.